What would YOU promise, in return for astounding Demonic benefits to be bestowed upon you? asks Occult authority Howard Vernon in this remarkable new book on the fascinating practice of Dealing with Devils. along with the notorious failures. Do not imagine  for even a moment  that this is a book of stuffy, historical rhetoric, though; those who have collected the Howard Vernon titles for some while will tell you that his main area of excellence is in his PRACTICAL writing. 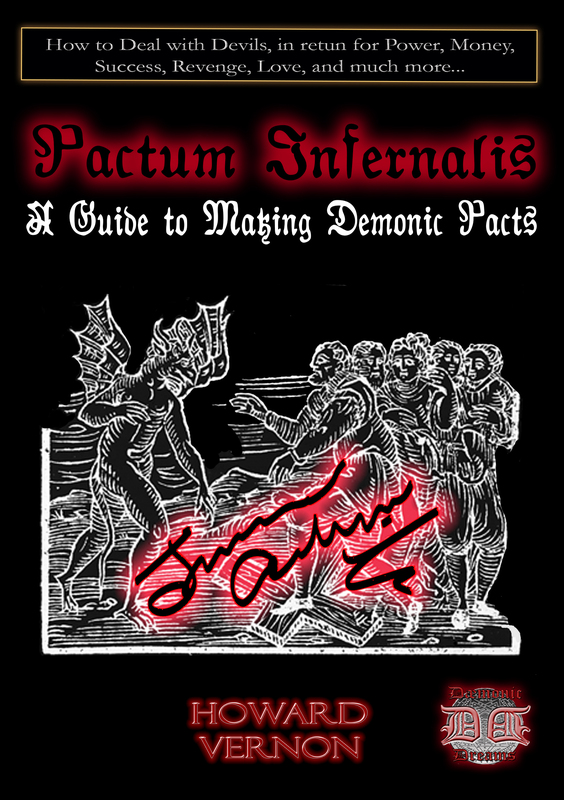 This book is for those who are ACTIVELY SEEKING (and daring enough) to make their OWN Demonic Pacts  you will FIND the Rites you need contained here! Rites which cover a multitude of Demonic Spirits, each of whom provide an extensive array of benefits, according to their originators. From drawing wealth to inciting lust, from ensuring personal success to gaining devastating revenge on those who have wronged you, you will find Pacts here that are said to provide all of these benefits and many more besides. Do you need to offer your Soul, in order to make a Demonic Pact? ABSOLUTELY NOT! The simple Rituals contained in this book are completely safe (although should only be used by those of a stable disposition) if followed correctly, and you can select whatever offering you consider appropriate in order to effect your chosen Pact. This remarkable, darkly-empowering book will arm you with all you need to get started on the road to power over your destiny.